Last year, literature from the New East clocked up some of its biggest successes in recent history with highlights, from Polish writer Olga Tokarczuk winning the Man Booker International prize to Georgian literature spotlighted at the prestigious Frankfurt Book Fair. All this acclaim bodes well for 2019, which looks set to see the region’s literature continue to go from strength to strength. Writers from Prague to Vilnius and Moscow are playing an increasingly important role as political division and social unrest encourage many to question, interrogate and challenge received wisdoms. From the #MeToo movement to history, queer identity and urban development, literature is emerging as a vital resource to understand the social dynamics of the present and shifting conceptions of the past. 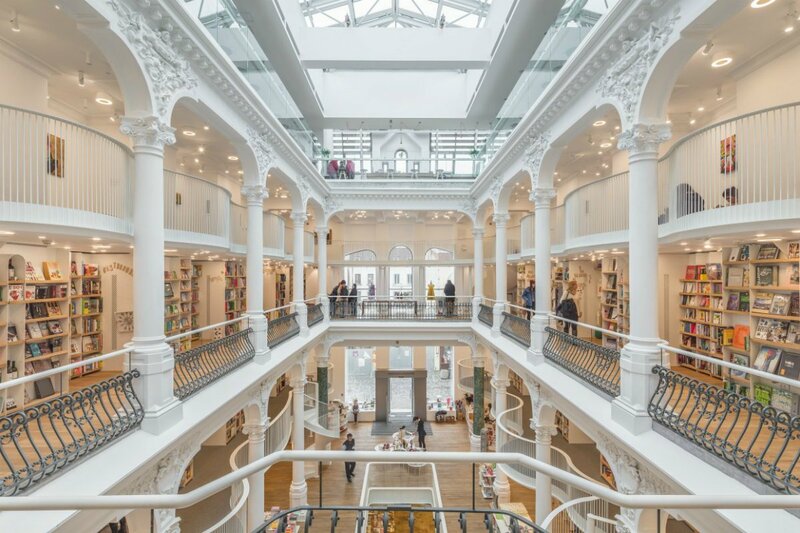 This year will see the publication of novels from Kosovo’s Pajtim Statovci, Hungary’s Laszlo Krasznahorkai and Russia’s Guzel Yakhina as well as newly translated poetry from 19th-century Georgian writer Vazha Pshavela and reportage by literary heavyweight Svetlana Alexievich. Whether telling imagined stories or recasting old ones, all of these new works reveal some of the multi-faceted realities of the New East. Post-communist Albania is the setting for Pajtim Statovci’s new book Crossing, translated by David Hackston, which follows Agim and Bujar, two teenagers looking to escape the rituals of rural life. 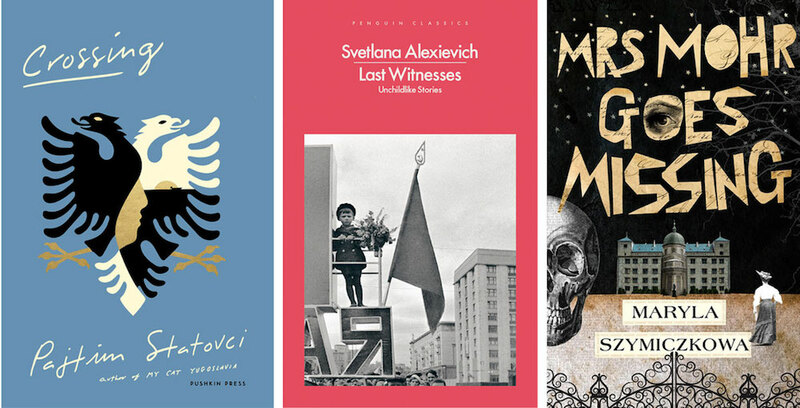 As in My Cat Yugoslavia – Statovci’s celebrated 2014 debut that launched him onto the international stage – Crossing paints a complicated picture of identity, one that goes beyond the frameworks of nationality, sexuality, and gender. Statovci, who is Finnish-Kosovan, interweaves traditional folklore and myth into what is a deeply modern story, which criss-crosses countries and cultures, from Albania and Rome to New York. Two days after Svetlana Alexievich was taken by her parents to a summer camp in 1941, Nazi Germany invaded the Soviet Union. Years later, Alexievich – an investigative journalist by trade – interviewed adults who had experienced the war as children, recording their impressions, which range from vivid recollections to hazy, half-formed memories. The result, Last Witnesses: Unchildlike Stories, translated by Richard Pevear, is a layered and comprehensive account of the experience of conflict. With previous works that include The Unwomanly Face of War and Second-Hand Time, Nobel laureate Alexievich has cemented herself as the leading chronicler of the Soviet Union’s human story. Maryla Szymiczkowa is the nom de plume of Polish author Jacek Dehnel (whose 20th century saga Lala was published by Oneworld last year) and his partner Piotr Tarczynski. Mrs Mohr Goes Missing, translated by Antonia Lloyd-Jones, is a detective novel set in late 19th-century Krakow and is as charming and saccharine as it is thrilling – think Wes Anderson meets Agatha Christie. Szymiczkowa’s work is a well-crafted page-turner, but also offers a deeper comment on sexism and gender inequality in contemporary Poland. Laszlo Krasznahorkai recently referred to his new 720-page works in an interview as “my one book” and, at 720 pages, the novel comes with a hefty dose of expectation. For the last two decades, Krasznahorkai has been one of Hungary’s most important cultural figures, winning the Man Booker International prize in 2015, and working alongside acclaimed director Bela Tarr on films Turin Horse and Werckmeister Harmonies. Told in Krasznahorkai’s characteristic quicksilver prose, Baron Wenckheim’s Homecoming, translated by Ottilie Mulzet, is the story of one man’s attempt to transcend petty provincial life. Expect minimal punctuation and few paragraph breaks. Maxim Osipov’s stories are kaleidoscopic. 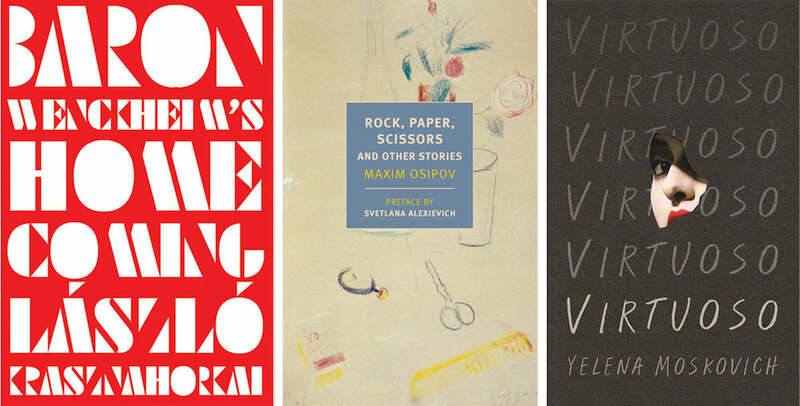 In his new collection Rock, Paper, Scissors, and Other Stories, translated by Boris Dralyuk, Alex Fleming and Anne Marie Jackson, Osipov dispels the myth that life is lived in the cities, showing provincial life to be full of activity and intrigue. Peopled by criminals, doctors, teachers and actors, humanity is what binds these 12 stories together. Himself a doctor working outside of Moscow, Osipiov is continuing Russian literature’s great love story with medicine, a flame lit by writer-physicians Mikhail Bulgakov and Anton Chekhov. Born in Kharkiv and raised in the United States, Yelena Moskovich is perfectly positioned to speak about the experience of exile. After the success of her first novel The Natashas – praised for its linguistic idiosyncrasy – Moskovich will publish Virtuoso this year. The story, set in Prague and Paris, centres around two young girls, Jana and Zorka, misfits who push the barriers of what is acceptable. Virtuoso is a hallucinogenic story of limbo, and the surreal experience of being in-between people and places. In Georgia, people refer to Vazha Pshavela as just “Vazha”, underlining his centrality to the country’s literary canon. In The Death of Bagrat Zakharych and Other Stories, which includes three short stories and one epic poem translated into English for the first time, Pshavela, born in 1861, explores glory, courage, masculinity and honour, tropes that can be traced back to the origins of Georgian literature. With her new translation, Rebecca Ruth Gould follows in the footsteps of Russian literature luminaries like Osip Mandelshtam and Marina Tsvetaeva, who translated Pshavela’s classic works. Set amid the spiralling political terror of the 1930s Soviet Union, a Tartar woman is sentenced to a prison sentence in Siberia, where she learns the necessity of forging a new identity in order to survive. A modern work of lagernaya literatura (gulag literature), Guzel Yakhina’s novel has been a bestseller in Russia, revealing a continuing interest in the topic of Soviet repression almost 50 years since Alexander Solzhenitsyn published The Gulag Archipelago. As contemporary Russian officials veer between accepting and disowning this aspect of the country’s past, Yakhina’s award-winning novel Zuleikha, translated by Lisa Hayden, sets aside political comment in favour of an intimate story of human endurance. Telling the untold story of the Wolf Children – a group of children who crossed from Germany into Lithuania toward the end of the Second World War – the publication of In the Shadow of Wolves, translated by Romas Kinka, is a significant work of memorialisation. Based on research carried out by author Alvydas Šlepikas, the novel traces the journeys these children underwent in order to beg for food from farmers to take back to their families. Šlepikas – who is also a scriptwriter and director – injects his writing with a dramatic urgency that seeks to capture the scale of extraordinary suffering.